Koichi Kamijo, a scientist at IBM’s research lab in Tokyo was only 20 questions into a 300-question life insurance form. And he was already exhausted. There had to be an easier way to answer these questions. 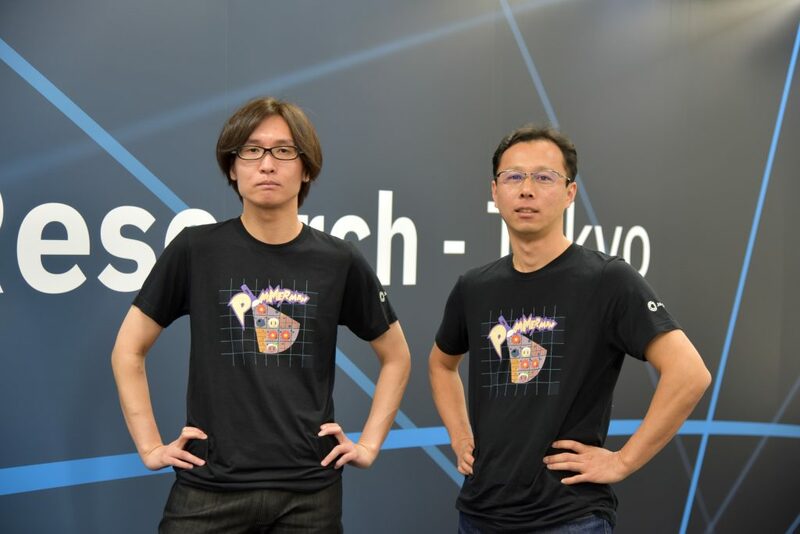 So, he got together with his colleagues, Ryo Kawahara, Takayuki Osogami, Masaki Ono and Shunichi Amano to come up with a cognitive tech answer to the cumbersome process of finding a life insurance product. And they identified two critical issues with the life insurance questionnaire that needed to be solved to make life plan simulator more user-friendly and useful for consumers and financial planners. Typically, consumers are asked to answer an average of 300 questions, from name, age, and marital status, to expected salary at the age of retirement, and education expenses for their children. The first issue Koichi and his team recognized: there were too many questions! Going through hundreds of questions is too much for people, even though they help financial planners understand their needs. The second issue he and his team realized they needed to solve was how to help financial planners also predict potential needs. 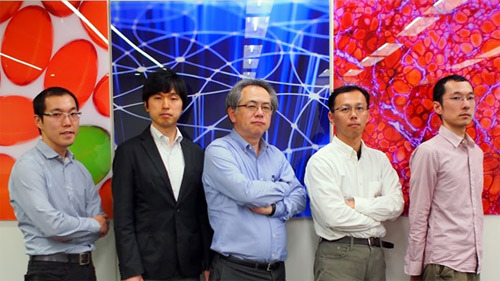 With his colleagues’ expertise in machine learning, business analytics and natural language processing – along with ST-Life (Smile and Thanks Life), whose life plan simulator Dynamic Life Plan Navigator has been widely used by enterprises and organizations in Japan – they developed an insurance information lifecycle management platform to solve these critical issues. First, Koichi and his team combined two components on the Dynamic Life Plan Navigator: its parameter estimator and human response simulator. The parameter estimator minimized the burden of answering 300 questions down to only eight by applying machine learning and analytics technologies. Just by answering questions like marital status, gender, number of children, income level, date of birth, and home mortgage status, the system then analyzes other users’ answers to automatically fill in answers to the other 292 questions. According to the recent experiment, people who successfully went through life plan simulation questions nearly doubled. Next, the human simulator can help discover a user’s potential preferences, such as insurance premium, coverage type, or what they consider important in choosing a product. 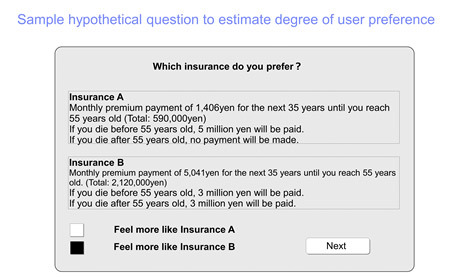 The estimator creates several unconventional, two-option hypothetical questions based on the user’s data from the past. Then the simulator suggests an option. By repeating this process four to five times, the simulation system uncovers the user’s potential preferences, including the ones which the user has never imagined, such as job, partner and vacation destination preferences. The preference estimation uses a technology that IBM Research -Tokyo has researched and developed with a grant from the Japan Science and Technology Agency’s Core Research for Evolutionary Science and Technology (CREST). More than 97 percent of the users who completed these hypothetical questions in the recent experiment did not feel it was a burden. And felt that they received an appropriate life insurance product recommendation. Additionally, the research team created a bonus technology to help avoid posting inappropriate expressions and private information to online life insurance-related forums. In Japan, some users want to reference and reply to “people-like-me” comments in these forums that are often managed by volunteer life insurance agents and financial advisors. But to post a question can be a challenge because it can be difficult to determine what information to contribute, while not disclosing private information. The context-aware discussion forum technology the team built highlights potentially inappropriate expressions and private information to help users amend their posts before uploading them to a forum. Koichi and his team hope that it will also help prevent “flaming” (hostile interactions) in the forum due to improper comments. Koichi used the tool again to do his life plan, and this time, it only took him five minutes to answer eight questions, overwrite some past answers, and receive a detailed life insurance plan and product based on future income and stock market performance. Koichi and his team are now working on applying the machine learning platform to other industries, such as banks and education. For example, like life insurance products, banks may consider using this platform to offer products to their customers that suit their savings goals. In education, such a platform may be applied to help teachers understand their students’ preferences and abilities by asking questions of their parents. If teachers can anticipate each student’s preference and ability based on an estimated value the platform’s analytics technology provides, they may be able to come up with a customized curriculum that effectively provides student support. ST-Life continues to work with Koichi and his team to advance the technology. At IBM Japan, Koichi and his team plan to collaborate with IBM’s consulting unit to deploy the insurance information lifecycle management platform to the insurance industry.